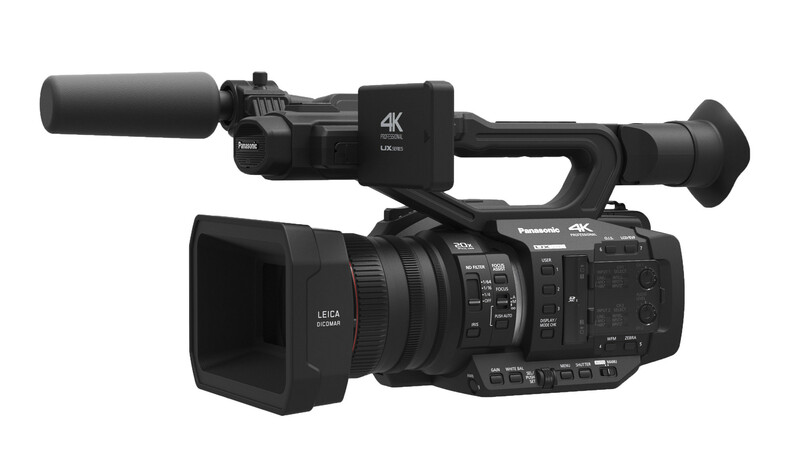 The Panasonic AG-UX180 is the premium model in a new UX series line-up of 4K camcorders from Panasonic announced at NAB 2016. The AG-UX180 is a 4K handheld camcorder with a 1-inch MOS sensor, capable of recording 4K DCI at 24p and UHD (3840 x 2160) at up to 50/60fps for a 2x slow-motion effect. The AG-UX180 also features a Leica made zoom lens with the impressive 20x optical zoom making it the ideal choice for documentary, event and corporate productions. Full HD at up to 100 (PAL) or 120p NTSC mode is also possible giving users the ability to express themselves with sublime slow-motion and tell incredible stories with their videos. Another major features is the fact that the UX180 also records onto a very affordable media format - SDHC and SDXC memory cards and even features a dual codec recording allowing users to record in the UHD format in addition to a full HD proxy at the same time. IR recording in low light will definitely be a popular feature among wildlife documentary filmmakers, while the professional connectivity including a 3G SDI output in addition to a HDMI 2.0 output. Variable frame rate (VFR) recording functionality (2-60 fps) is planned in FHD mode.